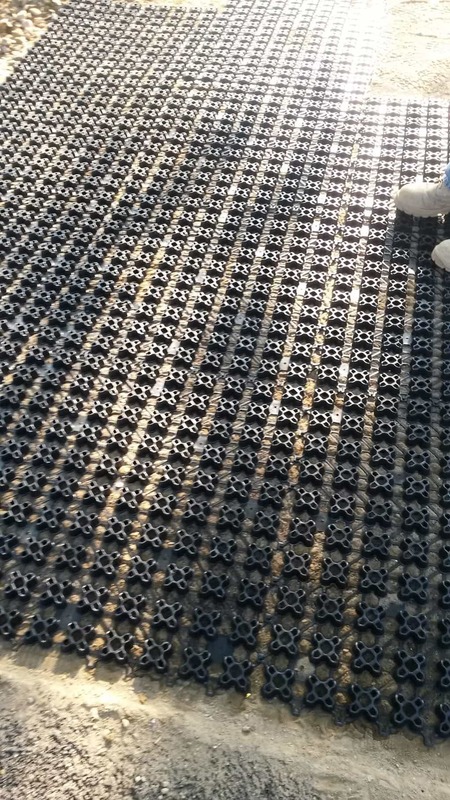 We have prepared a submittal to use the air pave product for the job. Once we have approved submittals returned, I am able to place an order. I will let you as soon as I get the submittal back. I appreciate the fact that you guys stepped up real quick and made the decision easier for me…. Enjoy the relationship. AirPave is a flexible porous paving and drainage system for grass pave fire lanes, reinforced turf paving, temporary parking and swales. 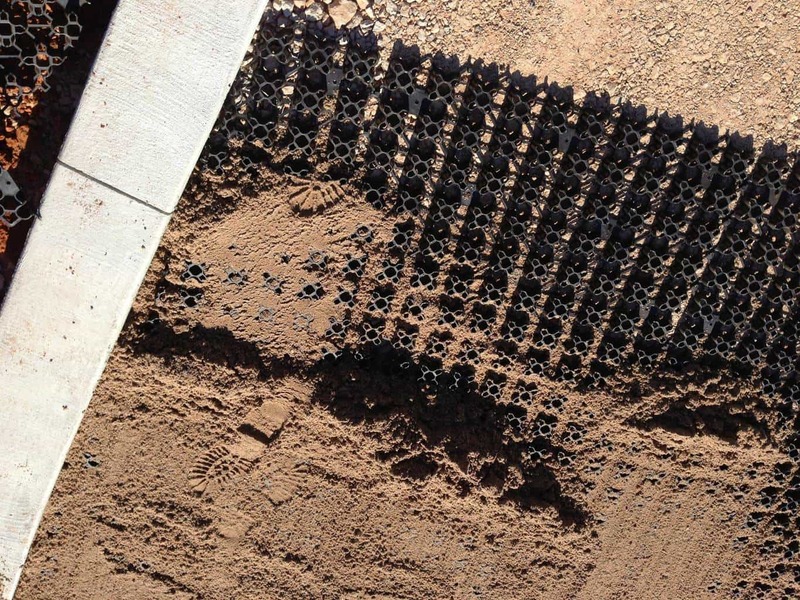 With over 400+ installations across the country AirPave for grass pave has a strength of 233 psi unfilled, 6747 psi sand filled and is made of 100% recycled content which can contribute to LEED™ points. AirPave always ships with enough fertilizer for 2 layers of the federal guaranteed analysis fertilizer needed. 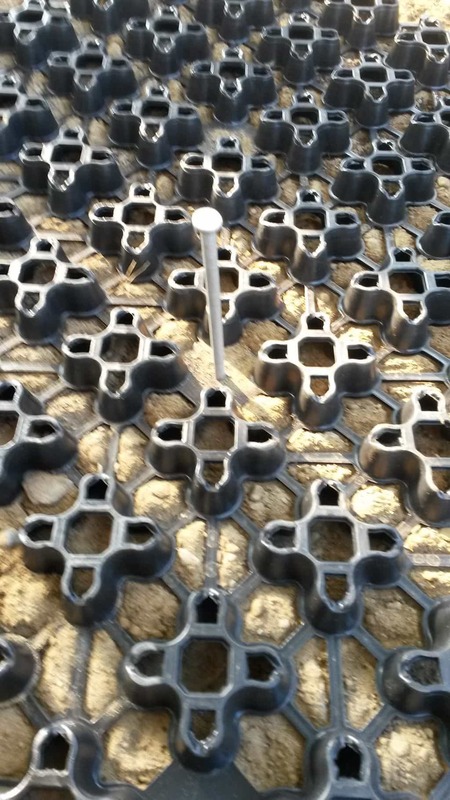 One for the sub base to be worked in before compaction and watered. And the other to be added on top of the sand filled grid and watered in before the turf grass is installed. We believe if done properly it will set up the grass pave project for the best possible result. AirPave grass pave can ship more than 91,000 sqft. per truck load and 798 sqft. per pallet with each part weighing only 3.1 lbs. AirPave can save the owner up to $0.80 per square foot or more over our competitors. CSI Master Format 32 12 43, 32 9200 and 32 14 43. To discuss your porous flexible paving or grass pave fire lane construction project, call AirField Systems at (405) 359-3775.